How can I reuse or recycle broccoli stalks? | How can I recycle this? How can I reuse or recycle broccoli stalks? The last few times I’ve bought broccoli, I’ve noticed the stalk attached to the stem seems ridiculously long compared to the head. It seems such a waste to throw it in the compost when I’ve paid by weight, so paying as much for that bit as the florets, but for some reason until last week, it didn’t occur to me to see what can be done with it. Any other recipe suggestions for using them up? I suspect they might be a great addition to a veggie stock … anyone got a recipe? The stem has always been my favorite part, ever since I was a kid. Just peel and sautee in a little oil. The peeled bits and leaves get saved for making soup stock. The obvious answer is to eat them!! Why would you throw it away? Just one of those things I never thought about. Strangely enough I’ve found that my dogs love to chew on them. I also peel them and cook the most tender parts right in with the florets. they do work really well in cream of broccoli soup. cut off any really tough parts, and the bottom… put themm in a slow cooker with a bit of water and let them cook for hours. Never thought about it, our dogs could always use something better than what we give them from the junk we buy at the store. I gave the ends to the dogs and they chewed on them like bones. Thanx! Perhaps this is only true in the US, but I know at many grocery stores you can choose either the broccoli with the long stems or the short stems. Both are the same kind of vegetable, and the same (I think) cost per pound but just are cut at a different height. Hum, I was laughing until I realized you were serious :( Sorry about that. Anyhow, I actually stir fry the stems with the florets. I tend to cut the florets such that they have longish stems on them (because this is what my Chinese mother did while growing up) and there is generally not too much long stem left over, which gets cut into sticks and tossed in like everything else. Toss it in a little bit before the florets, since it will want to cook slightly longer for being solid, but otherwise… perfectly edible and as use-able as the florets. Don’t worry about laughing – I understand I’ve been silly. 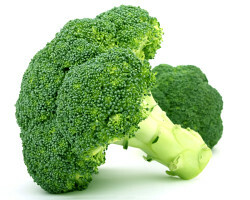 In my “defence”, I didn’t actually start eating any part of broccoli until a few years ago and since other people have only served me florets, that’s all I assumed that could be eaten. I often have a penknife in my pocket, and when shopping in supermarkets I often cut off the stems from broccoli florets so I won’t have to pay for lots of non-floret bits of broccoli when it gets weighed. BTW cats also often like broccoli. Can you say “cheap”?! Broccoli stems are yummy. Eat them. i would probably cut off the florets and eat the stem! the stem is the best part! Alice must be a liberal. Destruction of someone else’s property is perfectly fine And justified. The ends always justify the means, don’t it Alice? As long as it doesn’t happen to you. Alice, I like the idea of cutting off parts of vegetables/fruits that we don’t use. Why pay for something to toss–even if it does go into the compost pile. GREAT IDEA!! now why in the heck would you cut it off and let the store throw it out? that’s not really recycling at all. You should learn to use it. It’s really tasty, and easy to prepare you just peel it and munch on it well you cook the rest. Dude, just break the stalks off at the store before you put them in the bag. Leave them for the store to worry about, and maybe they’ll get a clue and start offering broccoli without such frickin’ long stalks! i grate them for broccoli slaw. add grated carrot, toss with rice vinegar & soy, top with mandarin oranges & slivered almonds. No, no, no! Does the store use the left bits sensibly or just chuck them? And anyway, why throw a perfectly edible bit of a vegetable away?? It tastes just the same as the bits attached to the florettes you know! Someone’s just pipped me to the post – I keep them and then grate them and use them in asian salads. Shred cabbage, carrot, broccoli and cauliflower stems, ginger and lettuce, toss with crushed toasted peanuts and a vinegarette made from rice wine vinegar, chilli, mirin, soy – enjoy. Good for filling in sushi or rice paper rolls as well. 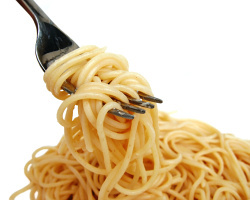 Also good to toss with bean thread noodles or rice vermecelli – hot or cold. Yum! And while we’re on the subject of veggies-asparagus also has tough stems, and can be rather pricy. You can treat the tough stems like you do the broc. Snap off the very bottom bit, and thinly peel the stems. Then steam them, along with the tender top portion. Tastes just as delicious. I was surprised to read this comment. In my family we’ve always fought over who gets to eat the stem. The stem is the best part. you just peel it and slice it. It’s crisp and sweet and juicy. Wow! Lots of good ideas! Here’s mine: I cut off the broccoli stems, cook them with the brocolli and later puree them in the blender. I freeze the puree until I’m ready to make macaroni and cheese, and I use this in the cheese sauce. Another vegetable the kids don’t know they’re eating…. Agreed that the inner part of the stem (the “heart”) is the best part–it tastes more like broccoli than broccoli florets! It doesn’t even necessarily have to be peeled in the banana sense–my usual method of dispatching the tough outer shell, as learned from a chef when I worked in a natural foods deli, is to cut off the tough bottom and then trim away the tough sides. You are left with a tender, delicious stalk that can be consumed raw or cooked. you could give them to someone who has a pet rabbit. Dont feed them to horses! Guinea pigs love them too. Mmmm, wash, peel, maybe steam, and eat that sucker whole! Maybe with salt, lemon, a little mayo, the way you’d eat artichoke. mmmmm, really really fancying broccoli now! I bought some brocolli slaw at Trader Joes and mixed with a dressing but found it to be very chewy and tough Would it be a good idea to blanch the slaw to tenderize it a minute and then cool it ? .